With growing calls last week from Republican's that Special Counsel Mueller should step down from his position citing conflicts of interest in the Obama administration/Clinton Uranium One scandal it is no surprise that Mueller chose to move forward at this time with an indictment of Manafort in hopes of "flipping" Trump's former campaign manager and "strike a deal" in the hope he will disclose damning information on the President in order to solve his legal predicament. If found guilty of even most of these charges, Manafort, 68, could be facing the rest of his life in prison, if he does not turn over any evidence to the FBI. This would be damning to Mueller in and of itself because anyone facing the rest of their life in prison is likely to confess everything to get out of the harshest of sentences. The argument against this, of course, is that Trump can pardon Manafort, so Manafort has no worries and thus no reason to turn on Trump. However, if Manafort were found guilty and pardoned on legitimate charges before Trump leaves office, that could be a serious blow to the President's credibility with even his base and very unlikely to happen. Then the question becomes, if he is found guilty can his legal team string out this case seven years and hope for a pardon as Trump prepares to leave office at the end of a 2nd term? -W.E. The first indictment of Special Counsel Robert Mueller’s “Russia Investigation” was unveiled Monday morning against Paul Manafort, President Donald Trump’s campaign manager from March to August of 2016, and his partner Richard Gates. The charges, first teased Friday, bear no immediate connection to the Trump campaign or the 2016 presidential race more broadly. 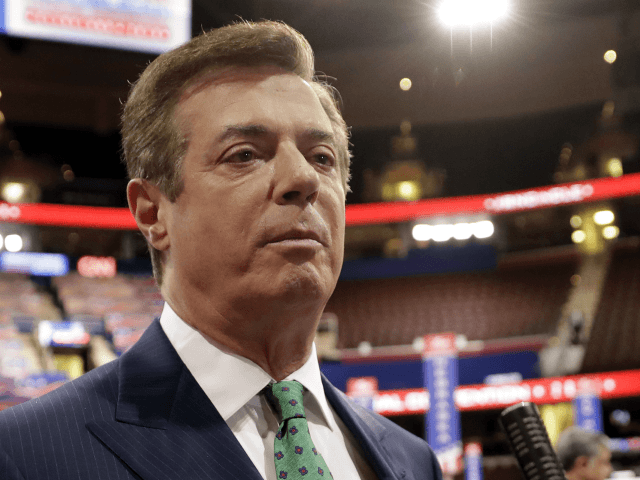 Instead, the charges stem from Manafort’s work as a consultant and lobbyist for Ukrainian President Victor Yanokovych and his “Party of Regions,” the country’s pro-Russia party that lost power in the 2014 Euromaidan Revolt. The heart of the charges against Manafort and Gates, laid out in a 31-page indictment in the U.S. District Court for the District of Columbia, are best described as money laundering. The two men, 68 and 45 respectively, are alleged to have used a bevy of entities to launder millions of dollars over a decade and failed to properly disclose the nature of their work for Yanokovych. The pair are alleged to have maintained foreign accounts in at least three countries, into which millions of dollars of payments were made, and then failed to disclose these accounts to federal authorities in accordance with laws that regulate agents of foreign governments. Manafort in particular is alleged to have avoided paying taxes on much of these earnings. In exchange for the payments, Manafort and Gates are alleged to have lobbied on behalf of Yanokovych and his government without registering a foreign agents, a federal felony. The indictment lists twelve counts, first among which is “conspiracy against the United States.” This charge, despite its treasonous grandiose air, refers to the illegal agreement between the two men to commit criminal acts the defrauded the government, not collusion with a foreign power to attack the United States. Manafort surrendered to the FBI at their Washington field office Monday morning. Gates is expected to do the same. The men will make their initial appearance together at 1:30 p.m. Eastern Monday, before U.S. Magistrate Judge Deborah A. Robinson at the Prettyman Courthouse in Washington, DC. 2. Conspiracy to Launder Money: Another illegal agreement, this charge stems from the alleged decision to devise a scheme to conceal the source and existence of the money from Yanokovych and other clients. Given the amount in question, this charge could carry up to 20 years in prison. 3 – 9. Failure to File Reports of Foreign Bank and Financial Accounts: These counts are related to the two men’s alleged foreign accounts. They are accused of not filing the necessary reports on these holdings. These counts carry 10 year maximum penalty. 10. Unregistered Agent of a Foreign Principle: This is the allegation Manafort and Gates acted as lobbyists for Yanokovych without registering as foreign agents with the government. It carries a maximum five year penalty. 11. False and Misleading FARA Statements: This is a more specific allegation of Manafort and Gates’s misconduct under the Foreign Agents Registration Act (FARA). The men are lying as to the exact nature of their work in on Yanokovych’s behalf when they did FARA paperwork in 2016. As with Count 10, this carries a maximum five year penalty. 12. False Statements: This count refers to the same statements as the count above. It is a more general version of the charge for making false statements to the government as opposed to the specific FARA violations. It also carries a five year maximum.